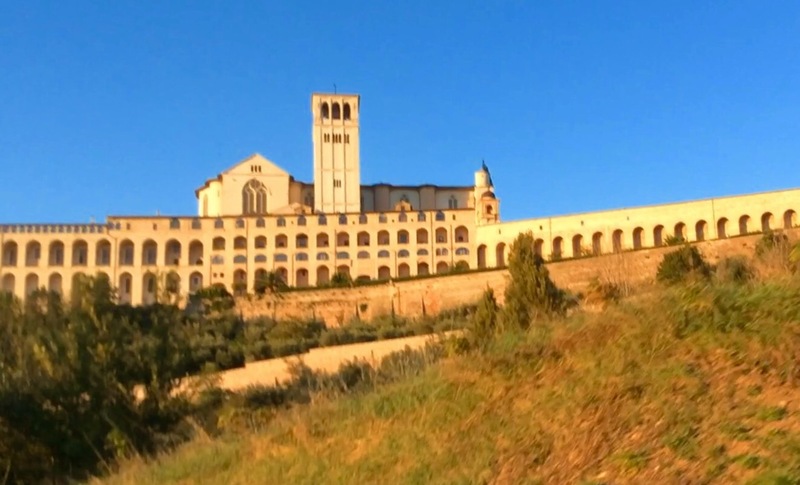 Let’s face it, Assisi attracts so many tourists because it IS so magnificent and there are so many incredible monuments, works of art, views and attractions that you would be plain stupid not to experience them! Even though I long ago ceased being a ‘tourist’ here and Assisi has become just another place to meet friends or shop or go out for a meal, I nearly always walk to the Basilica della San Francesco because it continues to fill me with awe and wonder and I still marvel at the amazing architecture and murals. 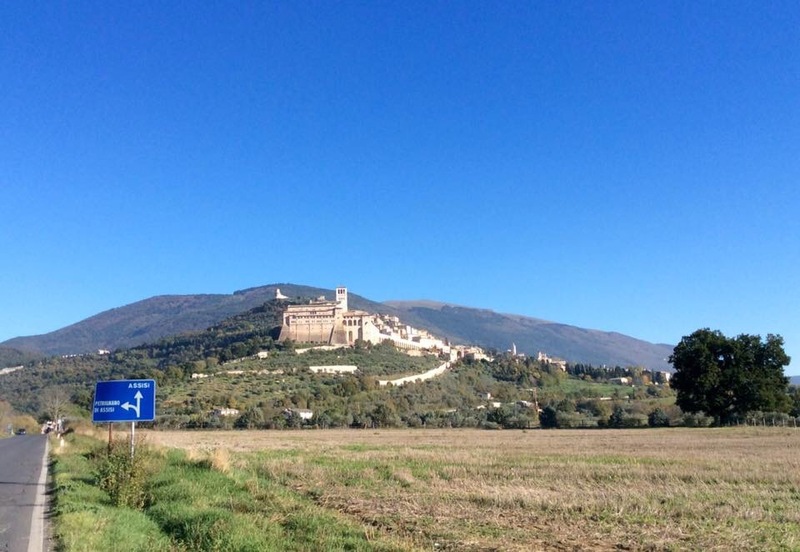 Assisi is the most magical of towns and one which needs to be lingered over. To be explored. To be experienced in the cool of the morning before the crowds and in the evening when a magnificent sunset bathes the basilica in a golden light. To wander through its mellow streets late on a summer evening with soft music and delicious aromas permeating from hidden trattorias. I would even suggest that one simply wanders on a first visit to capture the atmosphere before engaging in any serious sight-seeing. But what about the kids??? I first visited the city as an eighteen year old so not exactly a kid! Although, since it was my first trip outside the UK I certainly felt like one! In stark contrast our eldest daughter was just five! Although she has now lived and worked in four countries and visited so many others that I’ve lost count, Assisi is the first place she insists on visiting everytime she sets foot in Italy! So, yes! Assisi can be a magical place for children too but I think it does depend on how one approaches the visit. If you arrive around lunch on a stinking hot day and trail the kids around crowded streets and through every church then definitely NO ! They will not think that Assisi is magical. Just the opposite! Assisi is the hottest place on earth in the summer with sunlight reflecting off every facet of its pinky white buildings. It is also blessed with lots of steps and hills! I have to admit that our daughter number two did once (aged 4) sit down at the bottom of some steps and refuse to go up! We learnt our lesson! So. What do you do if you can really only spare one day and it’s during the summer school holidays and HOT? First prepare the kids. 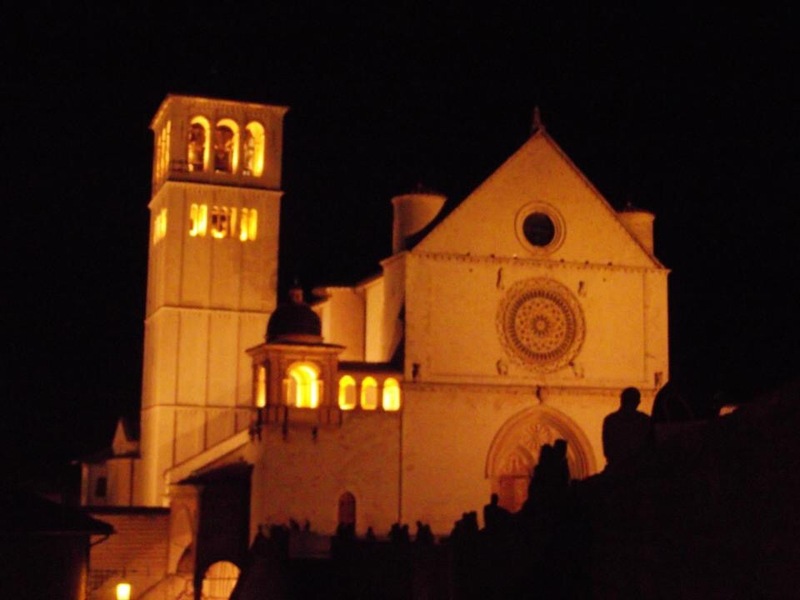 Read them stories about St Francis and Santa Chiara and make them aware of the earthquake. People who say they don’t want their kids to learn anything about religion, are, in my opinion extremely shortsighted! Let’s face it without religion there wouldn’t be any culture and very little art or beautiful buildings! 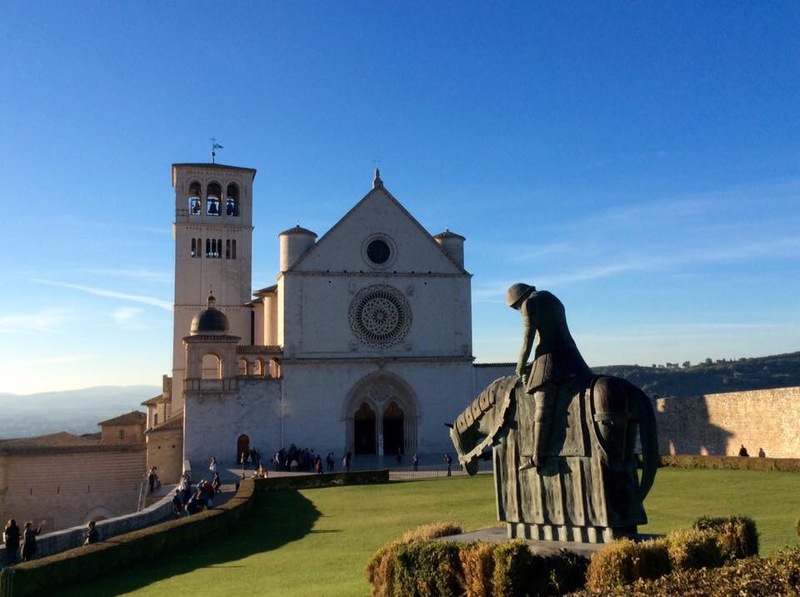 Take away religion and places like Assisi wouldn’t exist! Granted religious battles wouldn’t have happened but wars and terrorism would still have occurred because unfortunately that is human nature not faith! St.Francis is everywhere in Umbria and you will miss so much if you don’t know a little of the background. Get up early. Pack a picnic. Get out early. Arrive in Assisi by ten. Stop on the way to marvel as the breathtaking apparition as this city appears on the horizon. Park on the outskirts of the town and wander around the magnificent church of Saint Maria and the Angels. It has a tiny church inside the larger church which looks no bigger than a dolls house and is sure to captivate the hearts of children. They will also enjoy deciding if the doves on the huge statue of Saint Francis in the Rise Garden are real. You may have to wait a while to catch one of them blinking! Enjoy a coffee in one of the local bars and then drive right up to the Rocca Maggiore and enjoy your picnic before exploring the ruins. 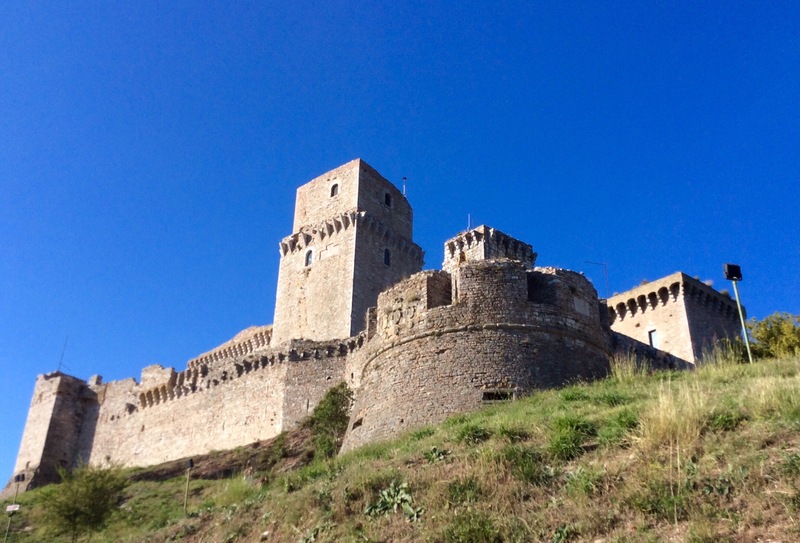 The walk up to the Rocca is beautiful in the spring and autumn. In the summer it will finish you off! The afternoon can be spent quietly reading and taking photographs or playing games. 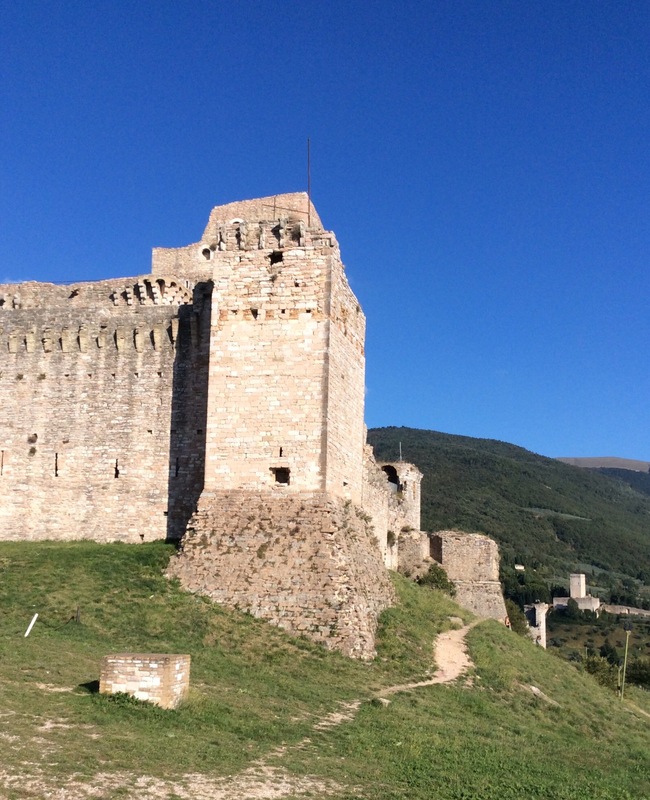 The Rocca is a great place for hide and seek with its stone towers and ramparts and a spooky dark tunnel! There’s also a lovely grassy courtyard which is great for letting off steam. When it approaches 4 O’clock drive down and park. Then you can wander up into the main town and have a quick wander around the church of Santa Chiara. 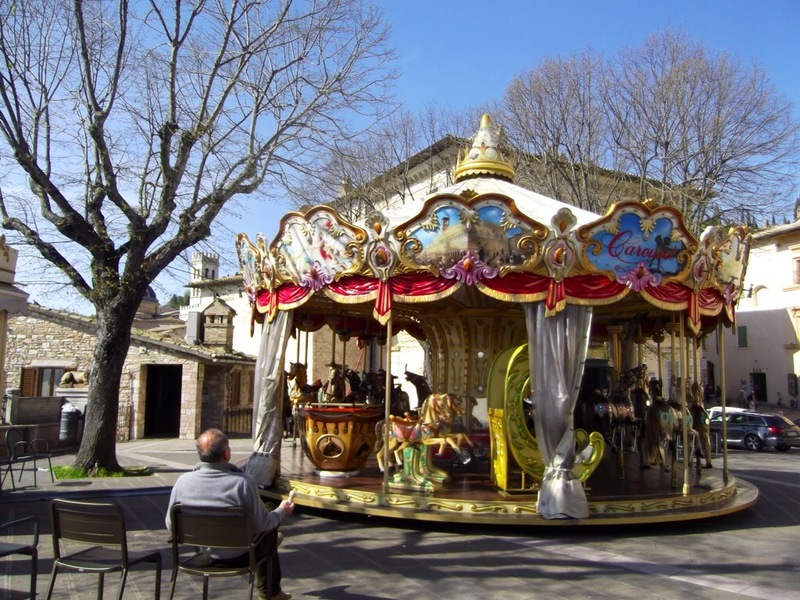 There is a Carousel outside the church which the children can enjoy after the visit. On the way to the Basilica della San Francesco you will pass an enchanting toy shop with lots of wooden toys, Pinocchio being the main attraction. A good break between churches and the toys are very unusual and very beautiful. Another ship they will enjoy is the Laboratorio Artistico Alice. This shop is full of hand painted items. Gifts and T shirts and all sorts. An Aladdin’ Cave! The next stop is the Basilica della San Francesco which is out of this world. It is also wonderfully cool. The crypt is a ‘must’. Even the youngest will be totally in awe of the glittering decorations and atmosphere. 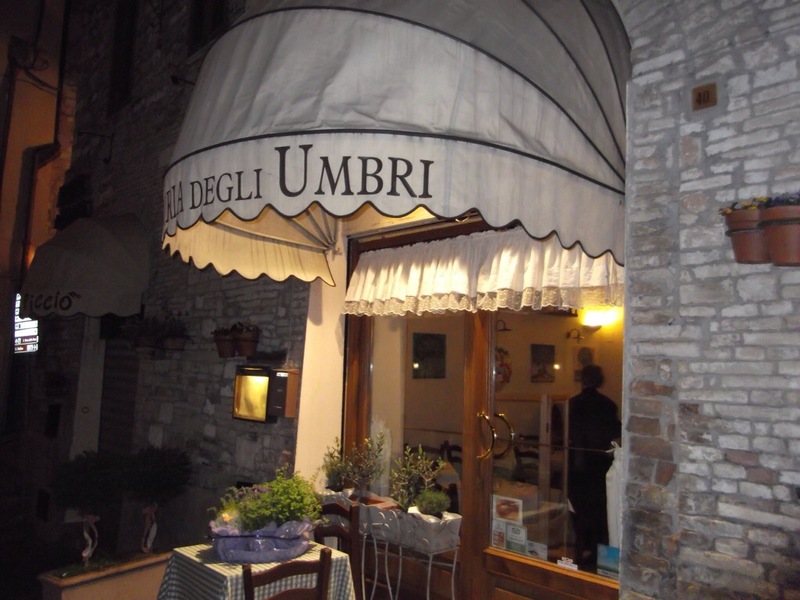 The evenings in Assisi are beautiful so enjoy an early meal. We like the little ristorante near the fountain. After dining you can wander around the backstreets basking in the golden light that bathes the town after dark. Ice cream. Children love ice cream. There are a couple of very elaborate and beautiful ice cream parlours but my advice is to go to one of the small bars where you will pay less and be served with a smile! The same goes for drinks and snacks. Cakes! Giant meringues and brightly coloured and nutted slabs of cakes tempt you from many windows! Just be aware that you pay by weight and that can be staggering! Local produce. 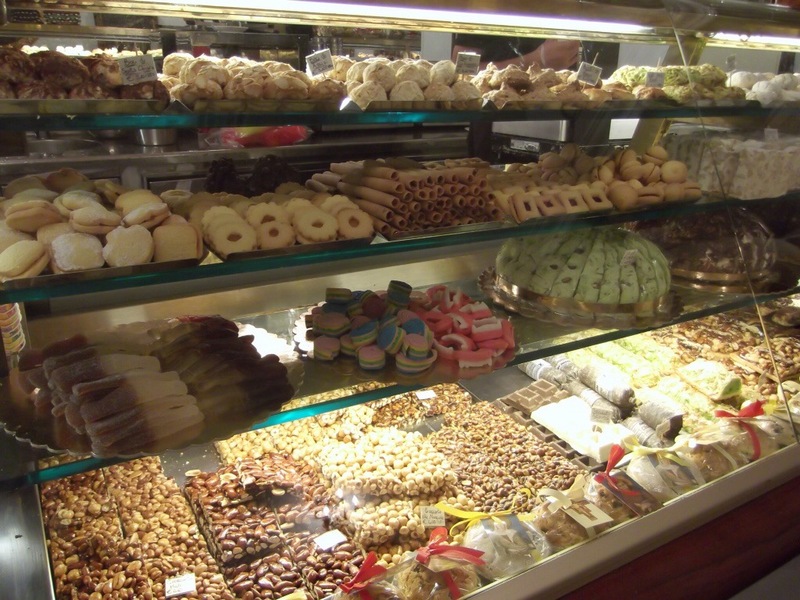 There are many shops selling local foods. It’s always a good idea to pay a visit to a supermarket before buying from this type of shop. Then you can distinguish between the real local produce and the overpriced items you can pick up at half the price in an alimentare. Packets of Torta al Testo being a common one!